Pre-heat your oven to 400°F. Roll out your Pillsbury™ Pizza Crust on a lightly floured surface. Cut out 6 rounds using a large, round cookie cutter. Lightly spray your muffin tin with cooking spray. 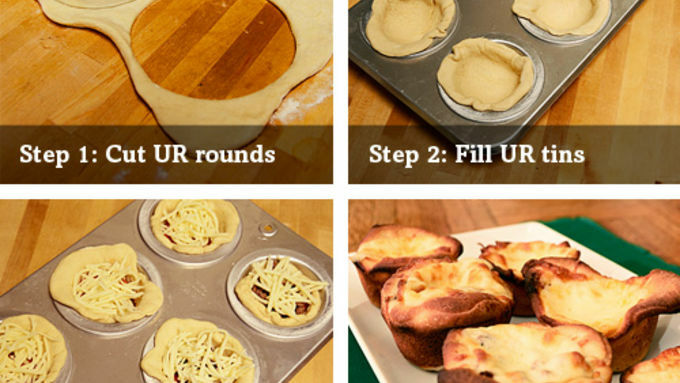 If you're using a 6 muffin tin, fill each with one round. If you're using a 12 muffin tin be sure to fill every other tin to make space between cupcakes since the tins are closer together. Now that the holidays are over, the last thing anyone wants to think about is cooking. I love the holidays, but the two most dreaded words that my family utters after the Thanksgiving cooking marathon are, "I'm hungry." So, I'm always on the look out for a quick food fix for starving bellies. 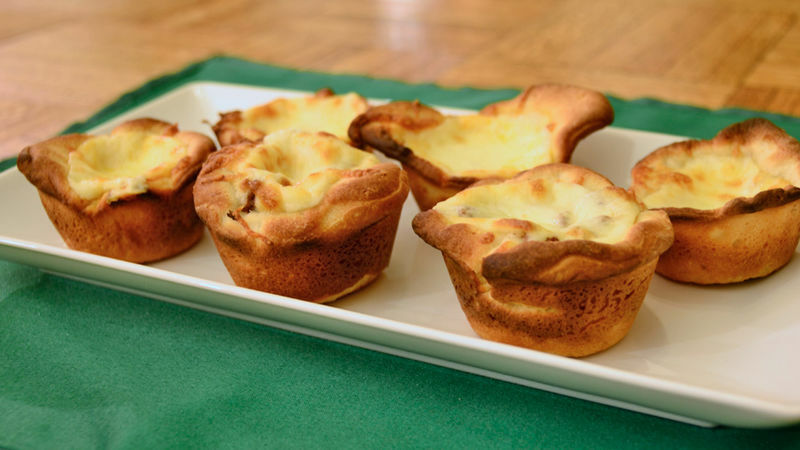 Pillsbury pizza crust saves the day every time, and these Pizza Cupcakes are a "total win" snack that you can throw together in four easy steps! Pizza cupcakes are amazing, but we've got even more pizza recipes for anyone who just can't get enough pizza in their life.